Indian extracting pulque, Mexico, 19th century. 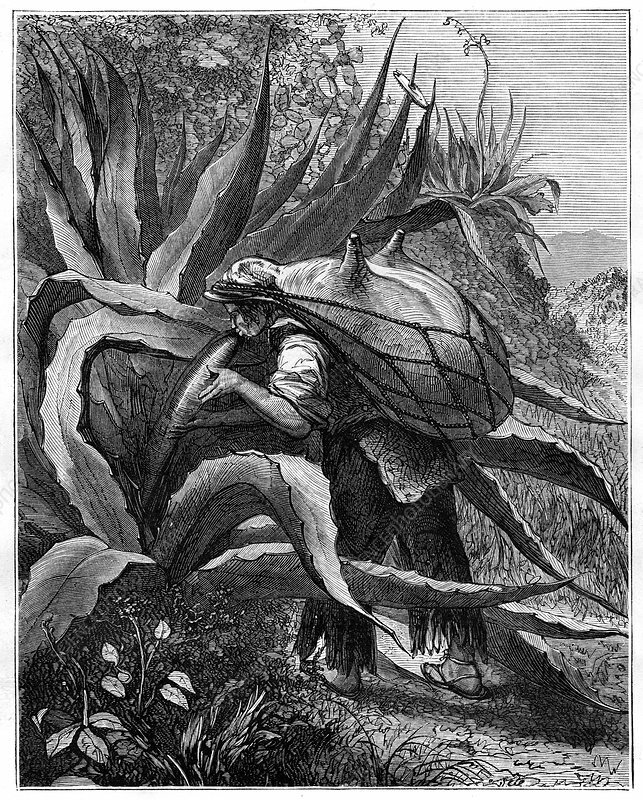 The sap of the agave plant is fermented to obtain a drink called pulque. This in turn can be distilled to make mescal, a colourless spirit.